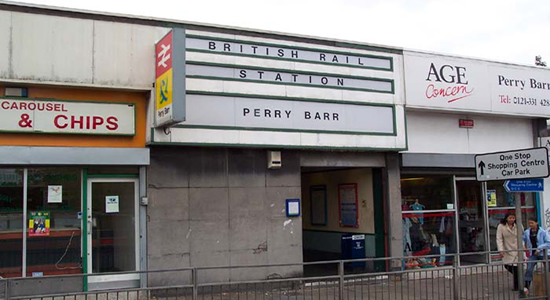 Perry Barr was one of the original stations to open on the Grand Junction Railway in 1837. However, despite such an auspicious pedigree, the architects of the redesign of inner City areas during the 1960s seem to have gone out of their way to make it one of the most aesthetically unpleasant stations in the region. Above we see the station today, unobtrusive in the middle of a row of concrete, prefab-constructed shops that are showing their relatively new age considerably more than many of the 19th Century station buildings in the region. Above-left we have entered the station building and walked through to the top of the station footbridge and are about to descend the concrete staircase to the Birmingham platform and can see a small waiting 'bunker' ahead. The original station had all its buildings at platform level with the toilets, ticket office and waiting rooms of wooden construction on either platform. Above-right we are standing on the Birmingham platform looking out towards Walsall and can see the most interesting feature of the this end of the station, the disabled access ramps, to the left and right. 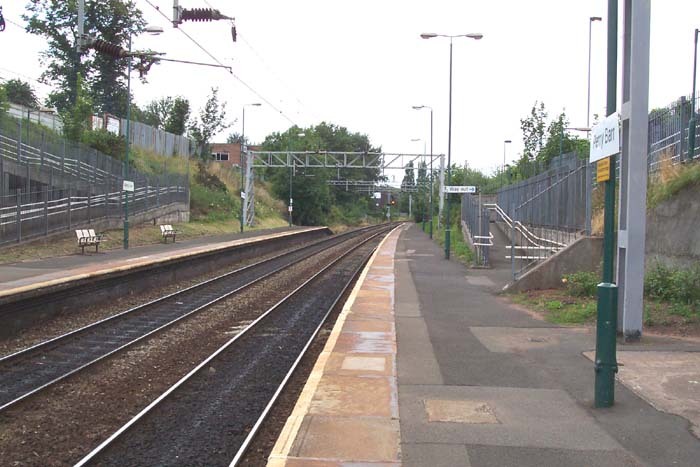 Above-right we are in the same spot but have turned to look at the Walsall platform and can see that a bus shelter is provided for the comfort of commuters. Above-right is the view looking directly back to the station footbridge and station building beyond it. 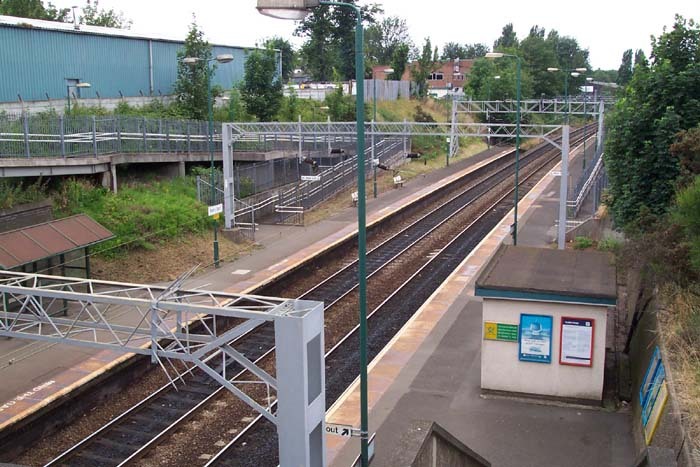 Before the redesign there was no footbridge at the station and this perspective would have shown terraced housing encroaching from the left with a stairwell leading down to each platform from road level on a brick, single-arched bridge. There really isn't much more to say about this station other than it is an eyesore and should be completely demolished and rebuilt.